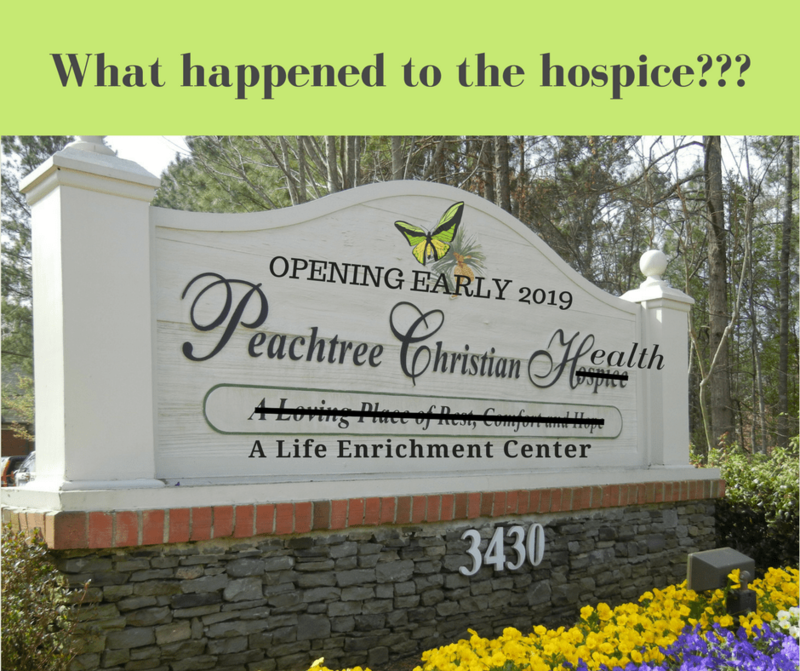 What happened to the hospice? I will never forget the morning of November 27, 2017. It was the Monday after Thanksgiving and the hospice was busy with lots of people. They were not the usual individuals you see walking the halls, the quiet and smiling nurses or emotion-filled family members of patients. The halls were busy with professionals trying to maintain a positive attitude in the midst of soon-to-be-announced disappointing circumstances. It was a time where the beautiful Christmas decorations should have inspired joy and festivity, but on this day all that could be felt was a somber anxiety in the hearts of all those who had loved and served here. And so began PCH’s transition. You would think after spending 17 years witnessing and helping families transition from one reality to another, we would have been better prepared. But, I suppose that is the thing with grief, it doesn’t matter if you have anticipated it for years or it was completely unexpected; whether it makes sense or not; or, whether it is a world trend or a complete anomaly: grief is grief, and nothing makes losing a loved one easy. 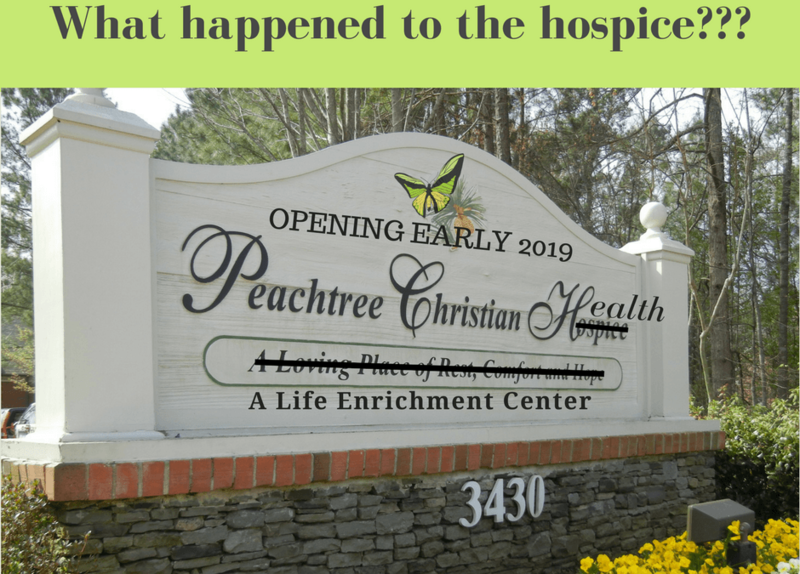 And Peachtree Christian Hospice, for so many, was not so much a place, but it was a friend. Because no matter what your circumstances, you could always find dignity and acceptance here. Yes, transition is hard! Nevertheless, I find great hope for things to come when I recall “there is a time for everything, and a season for everything under Heaven” (Ecclesiastes 3:1). There are many reasons why the inpatient hospice facility model is no longer sustainable (and you can read more about that in the official announcement and Q&A’s on the closure of the hospice.) However, the principles and values that rooted our hospice in the hearts of our community remain vibrant and strong. They are the foundation from which our mission grows and the powerful force which nurtures our development as Peachtree Christian Health, A Life Enrichment Center. My grandma used to always say “the more things change, the more they stay the same.” I find a bit more sense in her observation now; we are changing, but we will always be that trustworthy friend for those who need a place where they can feel safe, welcomed and loved. Our new logo includes a colorful butterfly. In many ways, this represents the continued life history of PCH. We have spent many years growing stronger in this garden. For a little while, we are undergoing some major transformations. However, if you stay close keeping careful watch, next year you will be a part of a something very special as we emerge with great open wings of vibrant color and energy! Keep up-to-date on our latest developments sign-up for our email newsletter here.